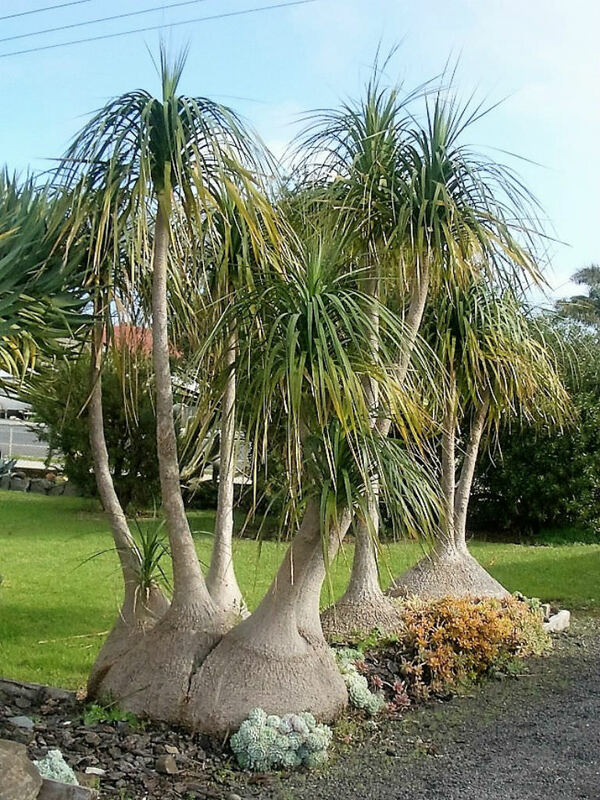 Beaucarnea recurvata is a dioecious, evergreen, succulent tree. 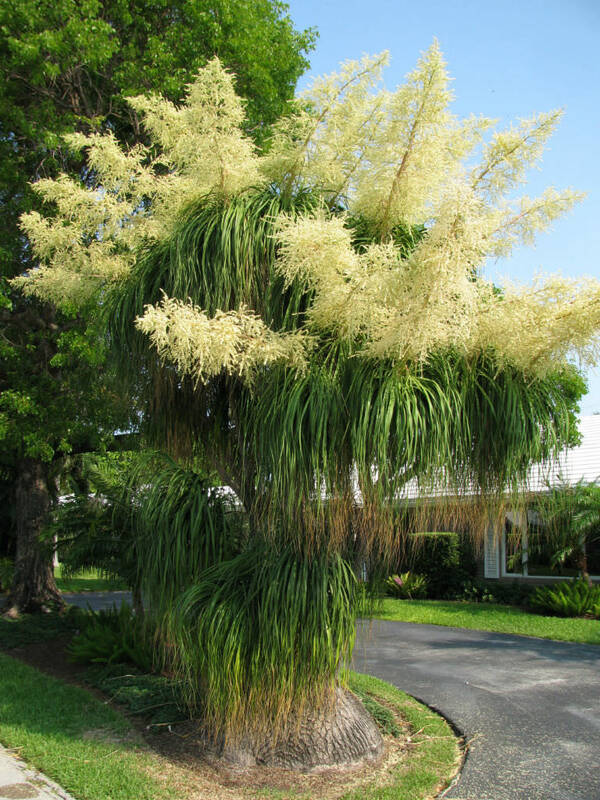 It is often seen as a houseplant, but it can reach up to 30 feet (9 m) tall outdoors. Base of the trunk is swollen with up to 3 feet (90 cm) long leaves that form clumps at the ends of the branches and droop down. Flowers occasionally once plants mature and then in late spring or summer. The small cream-colored flowers are held in a up to 2 feet (60 cm) tall, pyramidal-shaped inflorescence at the branch tips and are sometimes followed by reddish, winged fruit. USDA hardiness zones 9a to 11b: from 20 °F (−6.7 °C) to 45 °F (+7.2 °C). 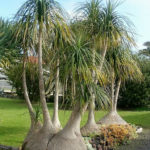 Ponytail Palm is winter hardy to USDA plant hardiness zone 9 where it is best grown in sandy soils with sharp drainage in full sun. 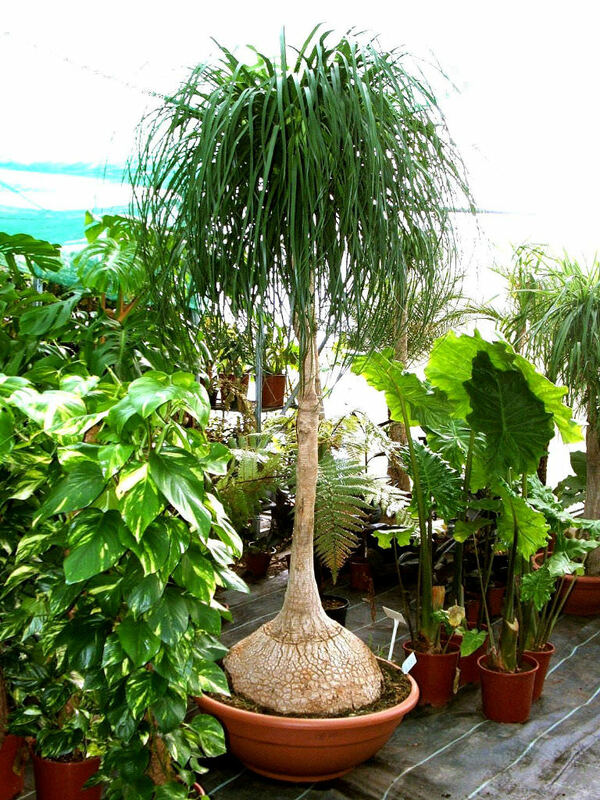 It is a very popular houseplant in more temperate climates. Houseplants should be placed in a sunny window. Plants like sunny, warm, dry conditions and overwinter well with furnace heat. 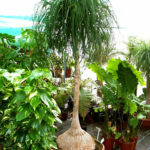 Houseplants are best grown in relatively small pots with excellent drainage. Plants may be moved outdoors after last spring frost date with gradual adjustment to full sun locations and cooler temperatures. Fading leaves may be peeled off. Brown leaf tips may be clipped off. 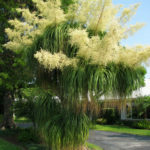 Outdoors in summer, plants should be given regular water but allowed to dry out between waterings. Reduce watering for plants brought indoors for winter. 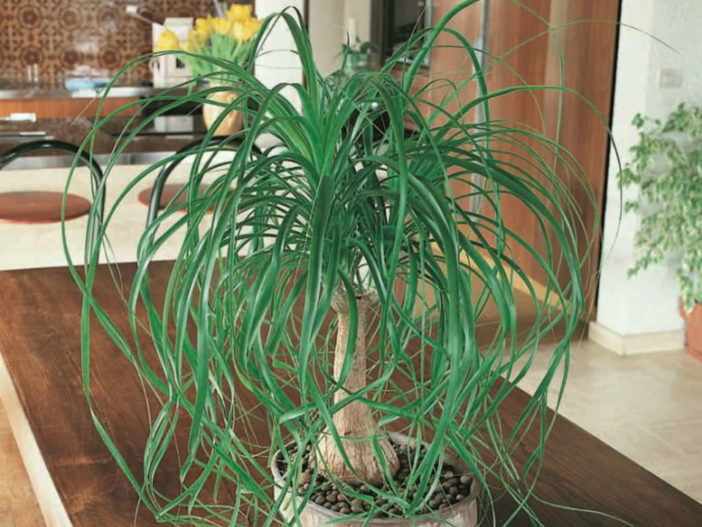 Beaucarnea recurvata is native to semi-desert areas of southeastern Mexico, Belize and Guatemala.